Simply click on this following Link: It will generate an E-mail request to join the group. Simply click on this following Link: It will generate an E-mail request to leave the group. I hope that you will find it to be a blessing as I have, when together we examine God's word to us in the presence of His Spirit. Please consider coming and joining with us in an exchange of ideas, scriptures, and thoughts on what it means to be born-again, and how the Bible is to be applied to our lives, today. Feel free to write us and join, today! Any difficulties? 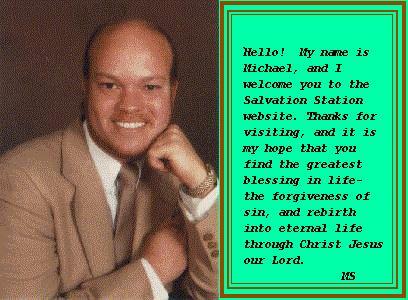 Just write to me, Michael Stevenson by clicking on my name below, and I will sign you up from the system end.